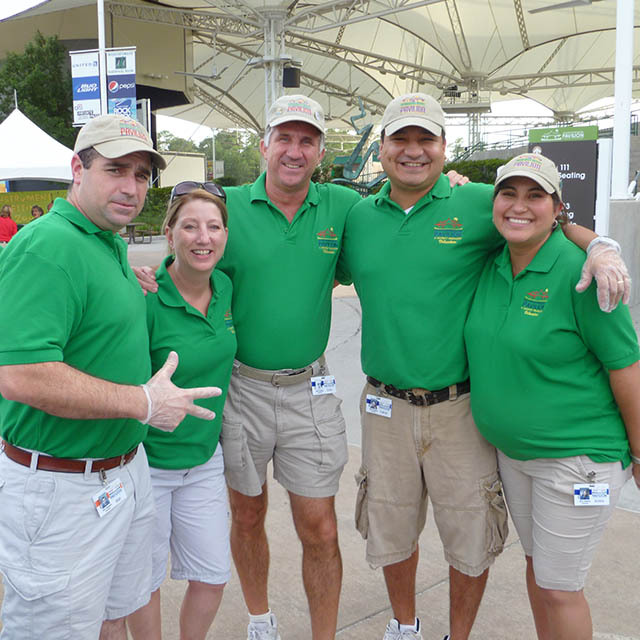 The Woodlands, Texas – The Pavilion Partners, the official volunteer organization of The Cynthia Woods Mitchell Pavilion, needs local volunteers with a passion for the arts. On October 12, Partners will host an orientation and training session at The Pavilion, beginning at 6 p.m. The session will last approximately an hour and a half, allowing potential volunteers to ask questions and become well-acquainted with the organization. If you are interested in becoming an event volunteer, you must attend the meeting on this date. Advance reservations are required. Launched in 1998, Partners is a dedicated group of volunteers who share a love for the arts. Members of this dynamic group are qualified to work all performing arts events, including educational outreach programs, and serve on various event committees. As a Partners volunteer at performing arts events, you will be tasked with overseeing pre-concert activities such as the instrument petting zoo and arts & crafts booths, ushering and handing out programs, and assisting guests with individual needs. Volunteers are needed for all performing arts events as well as educational outreach programs such as Musical Scores, Fine Arts Education Day, and Children’s Festival. Thre are also a variety of additional ways you can contribute to Partners, including fundraising, scholarships, membership and more. Join Partners to become a performing arts volunteer. Memberships start at $50 each. For more information about the October 12 meeting or to RSVP, contact Leslie Williams at (281) 210-1125 or lwilliams@woodlandscenter.org. To find more information about volunteer opportunities with The Pavilion Partners, visit https://www.woodlandscenter.org/about-partners. Launched in 1998, The Pavilion Partners is an important part of The Pavilion and its many educational programs. Partners supports The Pavilion through fundraising for the performing arts and educational outreach programs, as well as awarding fine arts scholarships each spring. In addition to their fundraising efforts, The Pavilion Partners provides event volunteers for performances and programs at The Pavilion throughout the year.